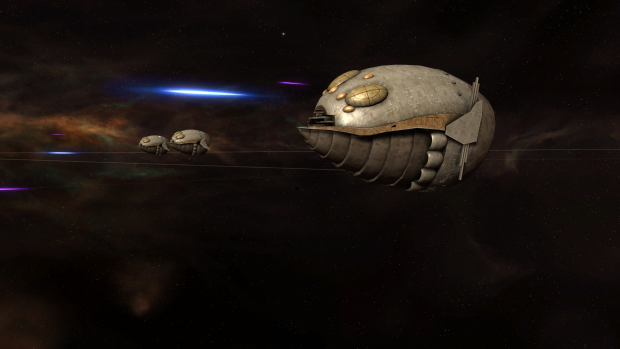 In this series of updates, we're going to look beyond what's immediately planned for 2.3 and talk about some of those broader goals for different elements of the mod. To start us off we'll be taking a look at two related areas of the mod which offer some interesting possibilities but remain underexplored- the Unknown Regions and the Empire of the Hand. 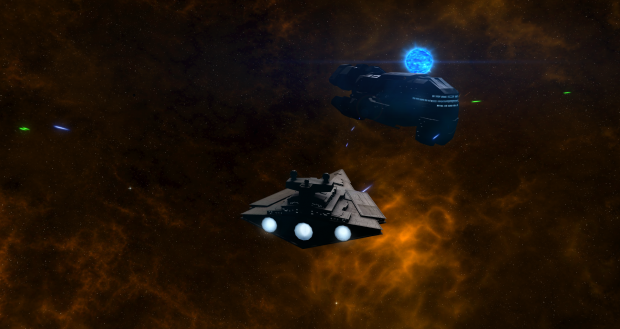 While the main focus of Imperial Civil War is the collapse of the Empire into its various successor states (including the New Republic) as they attempted to reunite or establish themselves as the main galactic power, part of what we attempt to do with our mods is represent the broader galactic situation and allow people to explore that as much as possible, with as many different groups as possible- essentially, we try to approach with as much of the Total War or Europa Universalis/Crusader Kings/Hearts of Iron style as the engine will allow us. Although it doesn't receive as much attention in the various works that make up the EU, and in-universe it isn't explored as much, the Unknown Regions make up a significant portion of that galaxy. Within the mod we currently only cover that via the Empire of the Hand which, while being an interesting group in many ways, doesn't represent the entirety of what was going on in the region during this period. In fact, they spent most of their time busy dealing with the various threats within the Unknown Regions, while in the mod their only option is to immediately invade the Known Galaxy. This is an area which we've always wanted to expand on, and it's something we're going to look to do in future releases. The Empire of the Hand as a faction, while some aspects are interesting or unique, also have a lot of rough edges (to put it nicely) and need a lot of work to bring them up to par, which we'll talk about first. As a faction, the Hand offer some unique and interesting units, but there are also many places where they currently fall flat. For one thing, since they tend to have some of the oldest models, a lot of their units need and will be getting some level of visual upgrade to bring them into line with the newer assets. Since the hardest parts of making their units tends to be coming up with a suitable design more so than the actual modeling, instead of having a specific release dedicated to updating them like we've been doing or will be doing with the other factions, their updates will happen across a few different releases. In 2.3, we will also finally be releasing their Intego Battlecruiser, which, at 2200 meters is the largest ship in their fleet. We were originally hoping to put it into 2.2 (and it can be used in current versions of Ascendancy, our Sins of a Solar Empire mod where you can see some of this content already) but we felt like its design still needed a lot of work. The current version, before the updates, can be seen below- the general shape will be remaining, but a lot of details have changed since those pictures were posted. Final pictures should hopefully be coming soon. On ground, every unit will be redesigned, and most importantly, rebalanced. Ground as a whole is being rebalanced and reworked in the mod in 2.3, however in 2.2 there are a few units in the EotH, especially the Megamaser Tank, which remain obscenely overpowered. In 2.3 we're rebalancing every part of ground combat, so that will all change, but they need art updates as well. Unlike with their space roster, their ground roster redesign is one we hope to do all at once; this is currently planned for 2.4, but specifics may change. Overall the roles for their units will remain the same, but we'll be bringing them away from the Lego Tanks aesthetics they currently tend to have. While there are plenty of other story or research mechanics we'd like to add or flesh out more for the Empire of the Hand, something else we will be working on with their unit updates is nailing down exactly where their units are coming from, which will be more important as we flesh out the Unknown Regions as a whole. The Empire of the Hand comes from a few different backgrounds- Imperial, Chiss, local designs, and combinations of those. The units in their buildable roster aren't directly Imperial in origin, so we'll be trying to group the rest of their roster into the other categories. Some will be labelled as designs coming directly from the Chiss Ascendancy (as many assets and personnel were funneled directly to the Hand from them), some as designs made by the Hand itself or one of the various member species, and some as the fusion of Imperial tech with another one of those groups (this one is more straightforward- for example, the Clawcraft and Star Destroyer variants like the Chaf and Ascendancy). While the Empire of the Hand currently starts off controlling everything in the Unknown Regions in the mod, they were in fact trying to combat various threats of different sizes the entire time. It's impossible to represent every little group they would have come across due to lack of information in universe and a limitation to what can put put in game, but we do intend to try to put in some of the more major players in the region at least- ideally, given enough time and resources, we'd like to have entire galactic conquest scenarios based within the Unknown Region. Because these updates are about covering future content, here's a quick look at the major groups we'd like to represent, focusing on those which had bigger impacts or the most opportunity for fleshing out. Keep in mind, all of this is only prospective, and not necessarily set in stone; certainly not content being worked on immediately, though we do have some idea of different phases in which they could be implemented. The ability to do the factions and species listed below will depend on resources as we complete stuff, and keep in mind that being represented doesn't necessarily mean being their own faction- some would be, but some will also be represented through the Independent Forces faction (though with suitable assets) similar to how the more minor Warlords currently are in 2.2 (ie Antemeridias, Elrood). Some may even be in the running to be playable under the right circumstances. 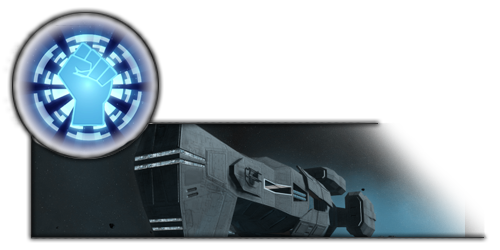 Chiss Asendancy - The official government of the Chiss, based on Csilla, and arguably the most influential group in the Unknown Regions. The Killik Colony - An insectoid hive-minded species which originated on Alderaan and migrated long ago to the Unknown Regions. 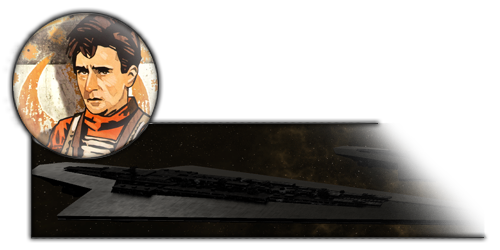 Nuso Esva - A warlord whose forces became one of the first targets of Thrawn's campaigns into the Unknown Regions, on the edge of the known galaxy, and connected parts of Thrawn's Unknown Regions conquests to the known galaxy. Again, this isn't quite coming in 2.3, just a rough outline of some of the ideas we have for fleshing out parts of the mod which currently aren't especially fleshed out. All of it ultimately depends on resources. Some, like the Chiss and Ssi-Ruuvi, we have some considerable amount of work done on already, so they're more likely to show in some form sooner than later. That will do it for our first Vision of the Future news post, all of this will be expanded a bit more as we get closer to the specifics, so hope you're looking forward to that. As usual, I'm running preview playthroughs regularly on my YouTube channel, Corey Loses if you want to see some of the changes in action as they happen. The current Greater Maldrood playthrough is currently wrapping up, and I'll be moving onto the CSA playthrough at the start of December. do you know what really makes me mad? that the NR didn't make as many different SSDs as the empire. they would have won much faster had they done so. it's just not fair. but, if their were more NR SSDs, they would be absolute SUPER-CARRIERS. So that's where the faction slots went.